Ganesh Chaturthi 2018: Ganesh Chaturthi is around the corner and everyone is busy doing their preparations to welcome Lord Ganesha. Out of all these preparations, modaks top the chart. There are many sweets offered to the Vighnaharta between Ganesha Isthapana to Visarjan, but modaks make the favourite and most prominent prasad of all. Ganesh Utsav is around the corner and its time to please the Lord with different types of sweet dishes. Lord Ganesh, who is also known as the Lord of new beginnings, will be worshipped across the country on September 13 while the festival will end on September 23 after 10 days of celebration. Rangolis, decorations, pandals, murti isthapna and Ganpati songs are the main attraction of the festival but modak plays the most significant role when it comes to impressing our Vighnaharta. Modak is the sweet steamed dumplings made out of refined flour and stuffed with coconut and jaggery. Traditionally the fillings inside the modak used to be just coconut and jaggery but as the time passed, people added different flavours to it. There are many varieties of modak that are now available in markets like chocolate modak, dry fruit modak and mango modak. But whats better than offering our Lord Ganesha self-made sweets? Also Read: Happy Ganesh Chaturthi 2018: 11 Best Bollywood video songs to dance on this Ganesh Chaturdashi! These mouth-watering treats are easy to make and are an integral part of celebrations for Ganesh Chaturthi. 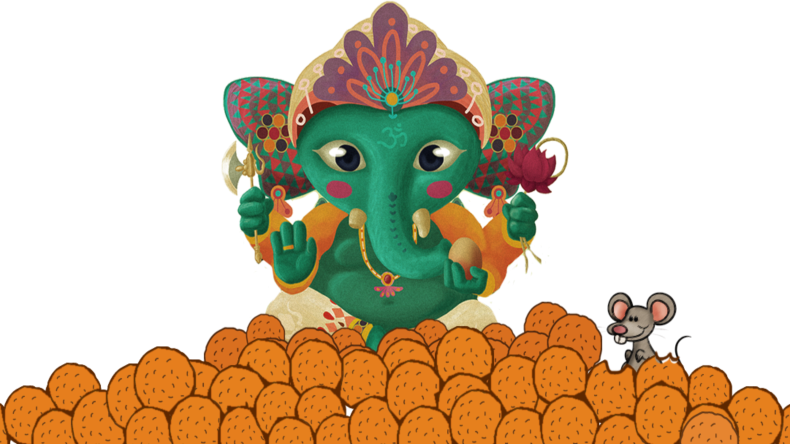 Enjoy these different and rich flavours of Ganpati’s favourite sweets. Happy Ganesh Chaturthi to all.